Macedonian, Canadian, son, student, leader, and hopeful. These are the identities, given to him by circumstance and experience, which he has learned to accept throughout his life. Luka was born and raised in Windsor, Ontario, a city built on the back of a storied culture and history. However, as people come to know him, they realize that his “home” is not Windsor. Rather, Macedonia is the place that he has learned to identify with. An identity forged twenty-one years ago when his parents made the daring move to start a new beginning by immigrating to Canada. The virtues of working hard and helping others are two things that his parents instilled in him. As a result, the difficulty in finding a balance between academics and extracurricular activity is a challenge that Luka embraced throughout his life. His passion to help the less fortunate and succeed academically pushed him to find a balance between the two. He is proud to be able to say that he has been actively involved with Generation M and the United Macedonian Diaspora, which have allowed him to help and give back to the community while allowing the time to pursue an education. 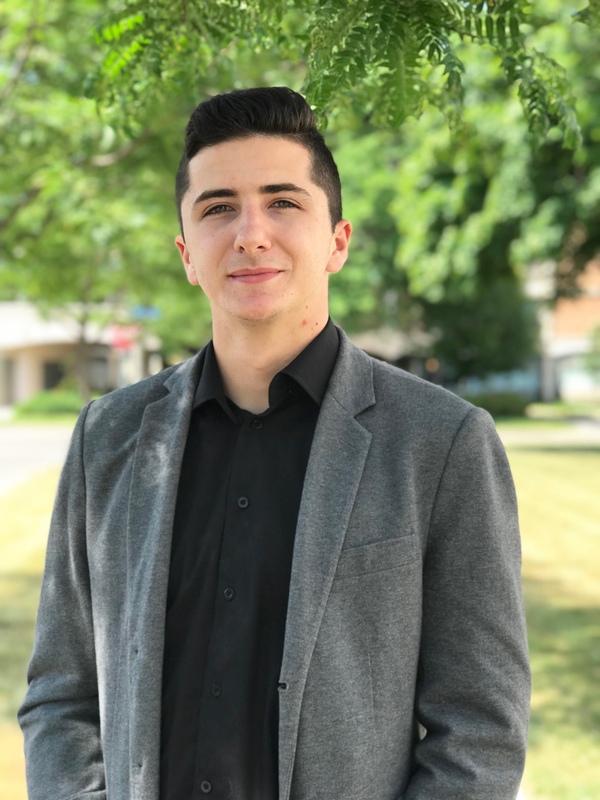 With his recent graduation from the University of Western Ontario with an honors specialization in psychology, he is excited for the next step as he moves on to law school at Western. This legal education will allow him to better pursue interests in humanitarian and international law, and thus allow him to impact the very same processes that have shaped his life. He aims to bring comfort and service to those who are seeking new beginnings—the very same beginnings that his parents pursued.